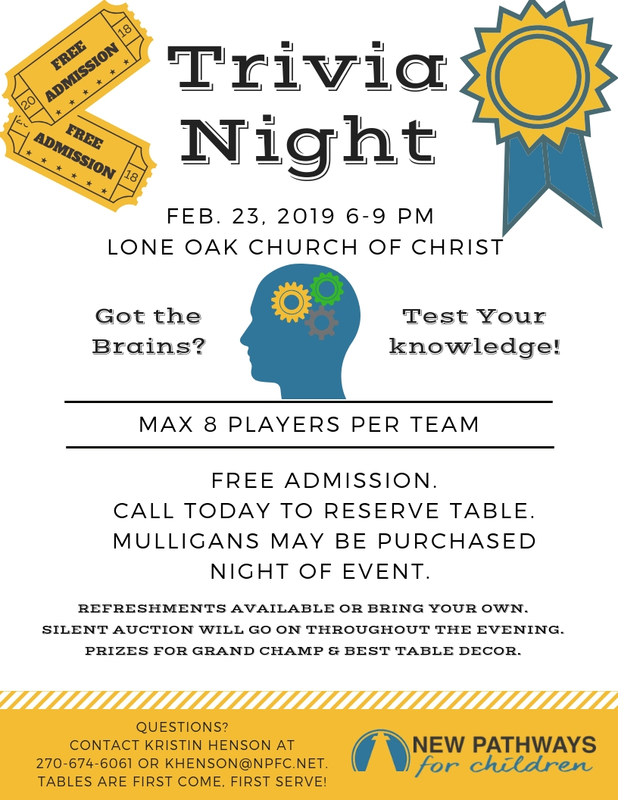 Join us on February 23, 2019, for Trivia Night at Lone Oak Church of Christ. Tables are first come, first serve. Reserve yours today! Team awards will be given out for the overall trivia night winner and best-decorated table. Light, complimentary refreshments will be available. You are encouraged to bring snacks for your team. Event sponsorships are still available. Click here to learn more about sponsorships. To reserve a table or inquire about sponsorships, contact Kristin at khenson@npfc.net or 270-674-6061.